HitTrax is an indoor simulator that allows players to see how their performance in a cage translates to the field. 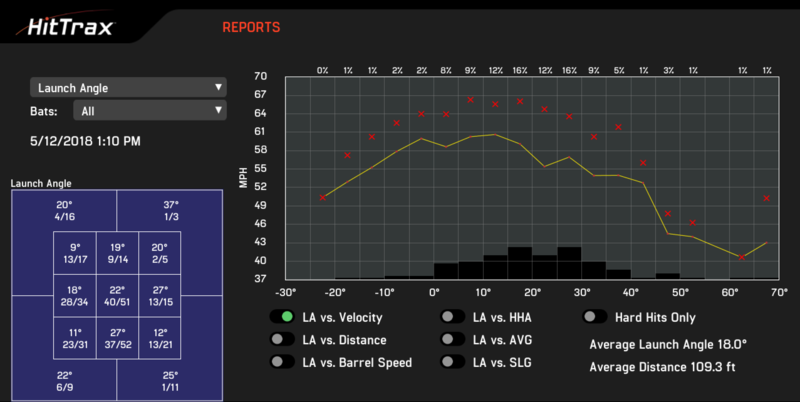 With every hit, players get feedback on their exit velocity, launch angle and distance. 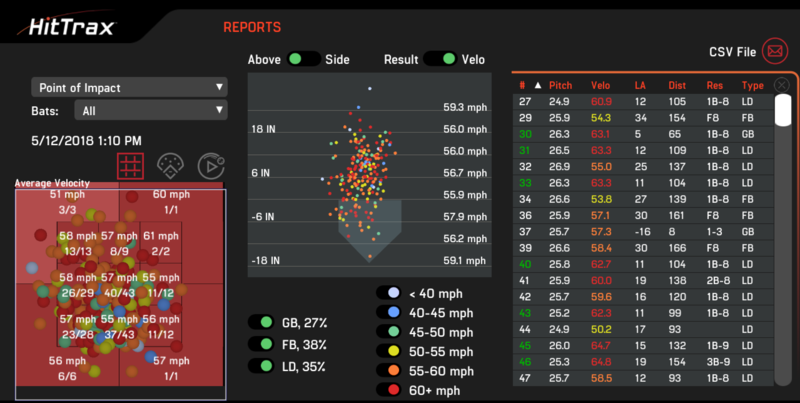 It also tracks pitch location, pitch speed, point of contact, hard hit average, line drive percentage and much more! 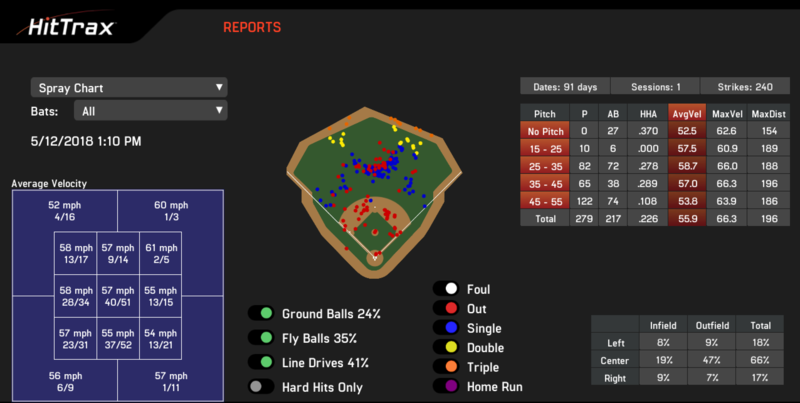 You can also pair video analysis to the data so you get the entire picture of what’s going on. The only way to know for sure that you’re improving is to measure it! 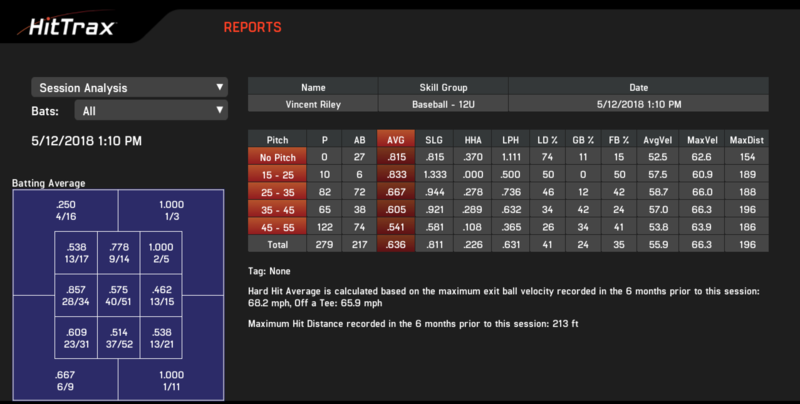 Every session on the HitTrax is stored so you can track a player’s improvement over a period of time on any of the metrics (exit speed, launch angles, distance, hard hit average, etc). On the back end of the system, it compiles all of the data and produces charts and graphs to highlight any strengths and weaknesses. They can even be emailed to you immediately following the session! Check out a few of the charts below. HitTrax can be scheduled with any lesson (based on availability). Call 610-489-3383 or email Info@DiamondDreamsBA.com to schedule your session!